Artwork created at California State University at Bakersfield. 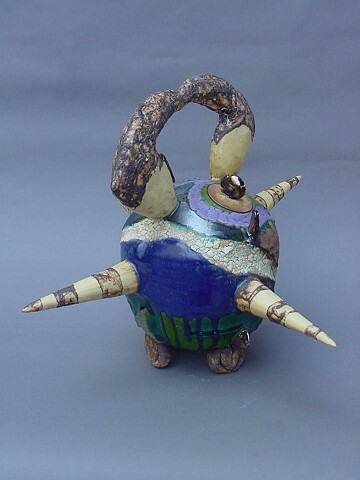 Wheel-thrown and handbuilt sculptural vessel. Earthenware fired to Cone 04 oxidation. Layered with various glazes.